We would like to thank the following for reviewing this edition of HATIP: Prof. Mark Cotton, Tygerberg Hospital, Cape Town; Dr David Moore, Red Cross War Momorial Children's Hospital, Cape Town; Dr Paul Roux, Groote Schuur Hospital, Cape Town; Dr Annelies Van Rie, University of North Carolina; Dr Gary Reubenson, Coronation Hospital, Johannesburg. Since children rarely have smear-positive TB, the diagnosis of TB in children has not always been the highest priority for TB programmes. But “the consequences of undiagnosed or untreated paediatric TB are especially serious as children are more likely to develop miliary or severe disease,” Professor Heather Zar of the Univesrity of Cape Town noted in a recent review.1 As explained below, this is especially true of younger children and children with HIV. Thus it may be in the best interest of children with or exposed to HIV that their care providers play a more active role in launching the diagnostic process — and to learn as much as possible about the natural history of TB, spectrum of clinical presentations of TB that are possible in children. At the very least, primary and HIV care providers should know enough about the diagnosis of TB to get the process off to a solid start before the child suspected of having TB is referred onwards. TB disease can take various courses in a child, depending upon the age when they become infected, the time since infection, whether they have received a BCG vaccination, HIV infection, their evolving immunological status and other factors. The infection process begins when inhaled TB bacilli land somewhere in the lung. (Note, vertical transmission from a mother with TB to infant is also possible — especially when the mother is HIV-infected — though tends to follow a different course, see below).3 Once the infection has become established and bacilli begin to multiply, there is a localized inflammatory reaction (and eventual lesion) at the site of infection called a ‘Ghon focus.’ The infection then drains via the lymphatic system into the closest lymph nodes. Since the infection can happen in different parts of the lung, the affected lymph nodes may vary (e,g, hilar, paratracheal nodes). The Ghon focus and related affected lymph nodes constitute ‘the primary complex,’ which eventually becomes visible on a chest x-ray in 50-70% (even in the absence of clinical symptoms). Until there is a systemic immune response to the infection (usually three to six weeks after primary infection) the child will have no symptoms. But the infection during this asymptomatic stage can disseminate through the blood stream, and seed other susceptible organs (especially the spleen, bone, kidney and central nervous system, and possibly to the lung apices). What happens next, depends upon the immune response or lack thereof. In most children, primary infection concludes with a hypersensitivity reaction, characterised by transient generalised symptoms similar to a viral respiratory infection, fever and sometimes erythema nodosum, an inflammation of the fat cells under the skin (typically the shins). At this point, the child typically develops a positive TST response. In most cases, there is no subsequent progression of disease. But there isn’t always an adequate immune response in young children with immature immune systems (especially infants) in the first two years of life. Malnutrition and HIV infection increase the likelihood of disease. In some of these cases, there may be no TST response or a very weak one. Primary infections in such children are more likely to progress directly into active disease (primary TB), and often, to death. Papers by Lewinshon et al, and Newton et al provides a good overview of research into the immunological mechanisms at play and how other factors including host genetics, microbial virulence, malnutrition and HIV could interact to determine the outcome of infection.4, 5 In addition, other concurrent infections, such as measles and whooping cough, increase the likelihood of TB — perhaps because they also change the dynamic of immune control. In the recent pneumococcal vaccine trial in South Africa, even pneumonia seemed to have an effect, as children in the placebo arm were significantly more likely to have culture-confirmed TB.6 “Up to 47% cases of culture-confirmed tuberculosis in children arise in the context of pneumococcal co-infection,” said Dr David Moore who presented the findings. This should raise a red flag about the risk of disease in children with HIV, especially those who are not on ART, cotrimoxazole, or have not received the conjugated pneumococcal vaccine. Regardless of what triggers primary TB, clinical evidence demonstrates that in the first three months after primary infection infants are at a very great risk of disease progression due to uncontrolled spread of TB from the primary complex in the lungs, complications due to enlarged lymph nodes, disseminated (miliary TB) and other extrapulmonary TB (such as TB meningitis). It is important to note that extrapulmonary disease can also happen later, especially in HIV-infected children, as a weakening immune status can allow bacilli to spread through the lymphatic system or blood stream. Several months after primary infection, young children continue to be at risk of lymphobronchial disease (see below), while children over five years of age are at greater risk of pleural effusions. “The vast majority of disease manifestations occurred in the first 6–12 months following primary infection,” wrote Marais et al. However, one to three years after primary infection, children under 5 may be at risk of osteo-articular TB, while adolescents are more at risk of adult type cavitating disease. During this period, the primary complex becomes calcified, containing the infection and more or less ending risk of disease progression following primary infection. After this point, the child has “latent” TB (for lack of a better term), which can reactivate later and become active, perhaps during adolescence or at a later point in life, if he or she is not given preventive therapy. Recent studies of mycobacterial and host immunological biomarkers of infection suggest that “latency” be much more nuanced, however. “There are at least twelve names that people are using for what a TB infection is… and clearly, fuzziness in terminology is a mere reflection of how poorly we understand latent TB,” said Professor Madhu Pai of Montreal's McGill University at the recent Union World Conference on Lung Health. The term was originally coined to distinguish between active TB and someone who was infected without active disease, “but now we realize it is a lot more complicated than that,” he said. “There’s a wide spectrum of disease that comprises childhood tuberculosis,” said Professor Peter Donald of Stellonbosch University at the Union World Lung Conference in Paris in October. Most children with TB will present with classical symptoms as chronic cough, fever and weight loss and/or failure to thrive. But, as noted above, after primary infection and the development of the primary complex, the manner in which TB spreads in the body reflects different pathological processes and can have important prognostic significance.7 It can also determine what sort of symptoms the child presents with. TB can disperse widely through the body in children to many organ systems, and extrapulmonary TB (EPTB) accounts for around 20-30% of TB in children.8 The most serious site of involvement is probably the central nervous system, but TB can also affect the peripheral lymph nodes (especially cervical), intra-abdominal areas, sometimes the ear and the eye, the genitourinary tract (including the kidney), bones and joints, the spine and the skin.9 Although fever and weight loss/failure to thrive are still common in children with extrapulmonary TB, the most conspicuous symptoms (or their primary complaint) may rather be associated with the site of disease. The following section presents these in order of pulmonary TB, EPTB disease that can be observed on a chest x-ray (intra-thoracic disease), and EPTB elsewhere in the body. Most children with TB — including those with HIV —have pulmonary TB of one form or another.10 Even within the lungs, however, there can be a number of pathological processes at work.11 These include the early primary infection-related conditions described above, such as ‘uncomplicated Ghon focus,” the localised pneumonic initial infection site and the primary complex, or the Ghon focus with uncomplicated disease in the associated lymph nodes. “Uncomplicated lymph node disease, in particular hilar adenopathy is the most common finding and is usually regarded as the hallmark of primary tuberculosis,” Marais et al wrote in 2006.12 Although conventionally treated as active disease, in some cases, hilar adenopathy is transient. Furthermore, Marais et al noted that the conditions associated with primary TB infection, including hilar adenopathy, can show up on x-ray even when there are no symptoms of disease— and many children with these signs will not progress to active disease/primary TB.13 However, given how rapidly TB can progress in children with HIV, even early signs or asymptomatic TB merit aggressive action. Complicated lymph node or lymphobronchial disease: in small children especially, pathology in the lymph nodes can lead to serious complications and bronchial involvement. For instance, swollen lymph nodes, or oedema surrounding the bronchial passage, or polyps within the airway lumen, may partially or completely obstruct the airway, potentially leading to hyperinflation and/or collapse of the lung. Or the diseased lymph nodes may ulcerate and discharge material that can become aspirated, triggering an acute hypersensitivity reaction (epituberculosis), or spreading infection to surrounding airways (infiltrating the parenchyma (lung tissue) — patchy consolidation) or to distal parenchyma in the lungs (expansive consolidation). Adult type disease is seen more in adolescence, reflecting a more exuberant immune response that causes significant damage of the lung with progressive cavitation. Ironically, bacilli flourish within these cavities, and TB spreads endobronchially. In contrast to primary TB, adult type disease is often smear-positive for acid- or alcohol-fast bacilli (AFBs, see below). The pleura, the membrane that enfolds the lungs, can become diseased either due to the direct spread of caseous material from the lungs or lymph nodes — which can trigger an inflammatory response causing the formation of generally unilateral pleural effusions (pockets of sometimes bloody fluid containing few bacilli). Pleural effusions are less common in younger children. Bilateral or extensive pleural effusions signal more severe disease. Either form of pleurisy can cause severe chest pain and make it difficult for the child to breathe, but a child with empyema may be more acutely ill. When MTB bacilli spread via the blood stream, they can become lodged within small capillaries where they form tubercles. These may be dispersed throughout the body — affecting different organs and bones — but they more likely to be observed on chest x-rays as diffuse ‘millet-seed”-sized spots.21 In children with HIV, this pattern may be hard to distinguish from lymphocytic interstitial pneumonitis (LIP) (however LIP is associated with generalized symmetrical lymphadenopathy rather than unilateral lymphadenopathy, swollen parotid enlargement and finger clubbing).22 In addition, miliary TB is more common under 2 years of age, and LIP in older children. Miliary TB is strongly associated with constitutional features (fever and weight loss) rather than respiratory symptoms — but symptoms also reflect the organ systems that are affected. Swollen peripheral lymph nodes, especially the cervical lymph nodes, are quite common in childhood TB. As opposed to the generalised lymphadenopathy that is often found in HIV, tuberculous lymphadenopathy is usually localised and unilateral.25 TB lymphadenopathy can start out with firm discrete nodes that become matted as the condition develops; eventually there may be granuloma formation, with subsequent caseation or purulent inflammation at which stage the nodes become fluctuant.26 Finally, abscesses and sinuses form leading to drainage, followed by healing and scarring. Until ulcers or fistula form, TB lymphadenopathy is non-painful. TB can also involve the mesenteric or retroperitoneal lymph nodes and the peritoneum, the membrane lining the abdomen, leading to abdominal distension and TB ascites (peritoneal effusions).27 The swollen lymph nodes may adhere to the bowel, causing blockage or fistula formation. Abdominal TB can cause symptoms such as fever, marked wasting and also abdominal pain. TB can also involve the colon, possibly as a result of swallowing infected sputum, obstructing the bowel and causing fistula. Again, this is associated with fever and weight loss but there may also be chronic diarrhoea and abdominal pain. TB can also cause serious renal disease — potentially destroying each kidney if left untreated. Symptoms, which may not be recognised until too late, include difficulty or pain on urinating, blood in the urine, or flank pain. It can also move into the male and female genital tract. Spinal involvement (spondylitis/Pott disease), begins in an intervertebral disc and spreads along the anterior and longitudinal ligaments before involving the adjacent vertebral bodies. Abscesses and spinal cord compression and gibbus (spinal deformity humps) may occur – any child presenting with a gibbus should be suspected of having extrapulmonary TB.29 As with other forms of TB, this will be associated with fever, night sweats and weight loss, but also causes stiffness, back pain and difficulty walking, with weakness in the legs and if left untreated, paralysis. TB has also been reported to infect the middle ear, causing chronic otorrhoea.30 From here, it can spread to the mastoid bone of the skull, potentially leading to the deterioration of the bone structure. Otorrhoea and mastoiditis are associated with ear pain, fever, headaches, and irritability. Disseminated TB can also cause skin lesions, such as lupus vulgaris (painful nodular skin lesions usually on the face around nose, eye lids, lips, cheeks and ears) or papulonecrotic tuberculids. Although rather rare — there are only a few hundred cases mentioned in the medical literature — MTB can sometimes be transmitted through the blood or transplacentally via the haematogenous route, or by in utero aspiration of infected amniotic fluid, or during labour from a mother to her infant — and there are numerous reports that this may be more common in the context of HIV.33, 34 The clinical presentation of TB in these infants is somewhat distinct, and merits mention. Dr Gary Reubenson of Coronation Hospital in Johannesburg described a case of congenital TB during a panel discussion held earlier this year at the South African TB Meeting by the South African Clinician’s Society. “A newborn baby boy was admitted to the hospital at birth, initially with mild respiratory distress that settled gradually over the course of the next few hours. The mother was HIV-positive and not on ART at that time. But the child had had no postnatal contact with its mother because the very same day that the child was born, the mother was admitted to a TB hospital,” he said. Over the next two weeks in the ward, the child’s illness progressed, and he developed hepatosplenomegaly. The hospital took blood, urine, CSF and induced-sputum samples and sent them off for TB culture. One of the cultures would eventually come back positive — though the child was put on TB treatment well before that. “We have a fair number of congenital TB cases in KZN as well,” said Dr Mo Archary of King Edward VIII Hospital during the discussion. Looking specifically at EPTB, in over 120 children with HIV and culture confirmed TB, Schaaf et al reported 14.3% had miliary TB, 7.5% TB meningitis (4.5% both meningeal and miliary), 10.5% abdominal, 9.8% lymph node, 3.8% osteoarticular, 2.3% mastoid and otorrhoea, 0.8% renal. Intrathoracic TB (aside from various forms of pulmonary TB) included 56.3% lymphadenopathy, 13.5% pleural effusions, and 2.3% pericardial effusions. But it is unclear how the data from the Western Cape compares to the rest of the continent or world and/or other populations. In some settings, some forms of TB may seem more common because they are easier to diagnose. One also has to wonder whether there is a diagnostic bias in the Western Cape, given the experience and capacity to diagnose TB. And in other settings, children with HIV and TB may also present later for care. “The full range of tests (including bacteriology and TST) may not be readily accessible in settings where the vast majority of TB cases are diagnosed,” according to the WHO and Stop TB Partnership Childhood TB Subgroup’s Guidance for National TB Programmes on the Management of Tuberculosis in Children (hereafter referred to as the NTP Guidance).”38 (And to this list of hard-to-access diagnostics can be added chest x-rays and other imaging technologies, molecular drug sensitivity tests and so on). Furthermore, the “existing diagnostic tests for TB in children have shortcomings,” the NTP guidance adds. The diagnosis of TB in children rarely rests on bacteriologic confirmation.39 To start with, microscopy does an even poorer job detecting TB bacilli in children than in adults. Children (especially young children) with TB tend to have a low load of TB bacilli and don’t cough up sputum as readily as adults so it is more difficult to obtain a good biological specimen that can be sent to the laboratory for diagnosis. As a result, healthcare workers often don’t bother — and children who are diagnosed as having probable TB are usually registered as smear-negative — even when they may not be.40 (Techniques that can improve yield somewhat are described below). And even if specimens are sent to the laboratory, bacteriological confirmation takes time. It may take a couple of days to collect enough specimens for microscopy, and labs generally take a few days to send back results. Bacteriological confirmation is more likely to be found on culture, but that takes even longer — around six weeks with solid media, and at least a week or two with liquid culture or other newer techniques. And although new molecular drug sensitivity tests (to rifampicin and/or rifampicin and isoniazid) that promise results back within a week are being introduced over the next few years into countries such as South Africa, in most places, drug sensitivity testing still takes months. “It can take a long time to get a laboratory diagnosis, and we have to make decisions before we actually know what we are dealing with,” said Prof Cotton speaking at the 2007 Union World Conference on Lung Health. * Note that in addition to the improvement in many of these conditions with the specific treatment indicated, their severity and frequency usually improve with antiretroviral therapy. † Onset can occasionally be acute, especially in immunocompromised infants. HIV = human immunodeficiency virus; TB _ tuberculosis; LIP = lymphoid interstitial pneumonitis. From: WHO, Stop TB Partnership Childhood TB Subgroup. Guidance for National Tuberculosis Programmes on the management of tuberculosis in children. Management of TB in the HIV-infected child. Chapter 3. Int J Tuberc Lung Dis 10(12):1331–1336, 2006. HIV can make it more difficult to assess a range of evidence. “The clinical pointer is: if a child with pneumonia is not responding in some way to antibiotics within 48 hours, TB really is a possibility. You can already start thinking of TB,” said Dr. Cotton. A version of Prof Cotton’s approach to diagnosis of TB in an HIV-infected child follows, which we have adapted somewhat, in light of recommendations from the NTP Guidance and others regarding diagnosing extrapulmonary TB. How do you diagnose TB in HIV-infected children? If the child’s HIV status is unknown, it should be determined. “In every child suspect of TB, a history of HIV in the mother, history of PMTCT and an HIV test should be performed. This is far from reality in the field and provides key information for the management of the child,” Dr Annelies Van Rie of the University of North Carolina told HATIP. “When the patient gets brought into the room, the most important thing is the history,” Professor Donald said during a discussion at the South African TB meeting. In fact, contact investigation should be a routine part of every clinic visit for a child with HIV. The contact with TB may include someone who lives in the same household or someone with whom the child has frequent contact. And though many guidelines stress smear-positive cases, even smear-negative cases can transmit the infection, especially if the contact was close. Is it the TB contact’s first episode or is it a re-treatment episode? Is the contact known to have drug-resistant TB? Are they adherent to treatment? Are they receiving injections? (a clear indication of second-line treatment). Can you trace smear and culture results? Tracing the contact’s lab results takes more time since it requires calling the TB clinic — but it may well be worth it, particularly when the source case was drug-resistant or had multi-drug resistant TB (MDR-TB). Fever: of over 38ºC for 14 days after common causes such as malaria or pneumonia have been excluded. It might be possible to refine the symptom descriptions even further to increase their specificity for TB. For instance, a recent study by Marais et al in non-HIV infected children found that 93.8% with culture confirmed pulmonary TB had a chronic cough defined as: “more than 14 days — and deteriorating”49 Also, the study noted that persistent fatigue of recent onset might be a valuable symptom to include in the history. But again, HIV and some of its related infections can produce a similar spectrum of symptoms. In fact, an assessment of Marais et al’s symptom-based approach for intrathoracic TB found that it was of limited diagnostic value in HIV-infected children, 25% of whom had the same chronic symptoms in the absence of TB.50, 51 In addition, using such strict definition may miss a large proportion of children with HIV who have atypical disease. “Using strict definitions to improve specificity may be dangerous in young HIV-infected (or exposed, children with unknown status) infants as many of these progress to death before they have 3 weeks of unremitting cough and two weeks of consistent fever,” Dr Annelies Van Rie, of the University of North Carolina, told HATIP. Children with both HIV and TB often become even more symptomatic, according to Prof Cotton. Cough can get worse and failure to thrive develops. TB can superimpose on HIV-related lung disease, for example LIP and bronchiectasis.52 Dr Van Rie stressed to HATIP that bronchiectasis and clubbing are features of older children, however. EPTB disease seems to be common in both children with or without HIV but according to Graham et al, its diagnosis is more “straightforward” as there are often more than one sign or type of EPTB present when the child presents to the clinic.53 According to the NTP guidance, some signs on clinical examination are highly suggestive of EPTB: gibbus, especially of recent onset (vertebral TB) and cervical lymphadenopathy with fistula formation.54 But any of the forms of EPTB listed above warrant further investigations. More than one type of TST is available — most commonly, the tine test and the Mantoux are used. In many primary care settings, only the tine test is available (this test involves introducing TB antigen under the skin with a small spike, or tine). But the NTP Guidance recommended the Mantoux because it is more sensitive and reliable. It is also more technically difficult and requires training to perform and interpret. The Mantoux test consists of an intradermal injection using either 5TU (tuberculin units) of tuberculin purified protein derivative (PPD) S or 2 TU of tuberculin PPD RT23. After 48 to 72 hours, the development of an induration (a bump) of more than 10 mm is regarded as positive in most children, but most guidelines suggest that in ‘high risk children’ (HIV infected, and the severely malnourished) an induration larger than 5 mm could be read as a positive response. (Note that any reaction whatsoever on a tine test should be interpreted as positive). But because of the poor sensitivity in ‘high risk children’, a negative TST can never rule out a diagnosis of TB in a child. However, if the child’s immune status improves (because of improved nutrition or the use of ART), it may be useful to perform a repeat test on the child. Newer blood tests, the gamma interferon release assays, such as ELISPOT (T-Spot TB) and QuantiFERON, can detect a TB infection by looking for a biological recall response (gamma interferon release) to specific TB antigens. One study performed at a hospital in KwaZulu Natal found that ELISPOT was significantly more sensitive in children with confirmed TB than TST, particularly ‘high-risk children’ with HIV, malnutrition and under the age of three.58 And when the TST and the ELISPOT were used together, the sensitivity was improved to 91%. One benefit of the IGRAs is that the child and caregiver won’t have to come back to the clinic several days later to have their induration measured. But even though these tests can be performed at district level hospitals in countries such as South Africa, they will not be available in most settings. Finally, cost is an obvious issue. Most children with pulmonary TB will have abnormalities on chest x-ray, most commonly a persistent area of opacification in the lung with enlarged hilar or subcarinal lymph nodes, a primary complex or a miliary pattern.59 The appearance in older children is similar to that in adults. 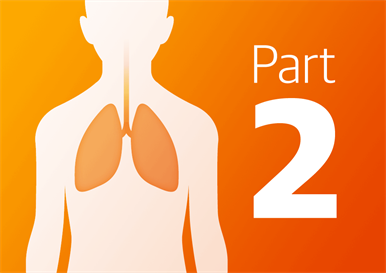 Professor Robert Gie and the International Union Against Tuberculosis and Lung Disease have put together an excellent resource describing the appearance of childhood TB on chest x-ray, which can be downloaded from the Union's website in pdf form here. And according to the NTP Guidance: “It is always preferable to make a bacteriological diagnosis of TB in a child using whatever specimens and laboratory methods are available.” It noted that this is especially important in HIV-infected, severe disease, hard-to-diagnose cases, or cases of suspected drug resistance. But how can pulmonary TB be detected in children who can’t produce sputum? However, another technique, sputum induction, may work at least as well, if not better than gastric washing, in just one in- or outpatient visit. According to a study by Zar et al in young children (median age 13 months) with suspected PTB, the yield from one induced sputum was at least as good as that from three gastric washings and more cases were identified with repeated sputum inductions (see this aidsmap news report).64 In addition, a little less than half (47%) of the specimens that were positive for culture, were also positive by microscopy (which means a much faster confirmed diagnosis). Plus, sputum induction is much less invasive and less likely to distress the child. While the technique seems to be catching on in South Africa, the NTP Guidance noted that it “requires training and specialised equipment.” But any diagnostic procedure requires training and the technique is not that complicated (see box) and the ‘specialised equipment’ is actually “very simple equipment,” according to Prof Cotton, and nowhere near as capital-intensive as some of the interventions and diagnostic tools which people are trying to introduce for improved TB management. Inadequate fasting: if a child has not been fasting for at least 3 hours, postpone the procedure until the appropriate time. History of significant asthma (diagnosed and treated by a clinician). For children unable to expectorate (e.g. young children), carry out either (i) suction of the nasal passages to remove nasal secretions; or (ii) nasopharyngeal aspiration to collect a suitable specimen. Any equipment that will be reused will need to be disinfected and sterilised before use for a subsequent patient. The facility should be separated from general contact as M tuberculosis may be aerosolised and infect anyone exposed. As point 6 in the box suggests, nasopharyngeal aspiration can also provide a useful specimen (which provides a 30% yield compared to 38% yield for gastric aspiration).65 Finally, researchers in Peru have reported good results using a string test, which involves having the patient swallow one end of a string, or a gelatin coated capsule attached to a string, which is withdrawn after several hours to collect a gastric sample (see this aidsmap news report ).66 This has now been well tolerated in children as young as four years of age.67 Again, since this procedure may induce aerolisation of respiratory secretions,, it needs to be performed in accordance with strict infection control measures. Given the range of sites involved by tuberculosis, a wide range of specimens can be sent to the laboratory. The delivery time should be rapid. “Cultures from every available source (early morning gastric aspirates, induced sputum, nasopharyngeal aspirate, bone marrow aspirate, bronchoalveolar lavage fluid, ear swabs, cerebrospinal fluid, pleural tap) are important when TB is suspected. Lymph node, liver, lung and trephine biopsies may even be helpful in persistent lung disease,” wrote Cotton et al. Symptoms suggestive of EPTB may require other diagnostic evaluations. The NTP guidance lists the practical approaches used to diagnose the common forms of EPTB. “Always look for pulmonary TB as well,” Prof Cotton told HATIP, since children with EPTB often have undiagnosed pulmonary disease. As the following cases illustrate, an examination of the caregiver can lend crucial evidence to the diagnostic process. A 19-month old child presented to the clinic with a 3-week history of otorrhoea and gastro-enteritis. The road-to-health card demonstrated failure to thrive. There were some radiological signs suggestive of TB, especially hilar adenopathy, and some collapse consolidation and infiltration. But the clincher was the examination of the mother who had had a cough and loss of weight for at least 3 weeks. This indeed turned out to be TB. “She did not volunteer that she had these symptoms. Had we not assessed the caregiver, the diagnosis in the child would have been more difficult. Also, the mother can spread TB to other children and health care workers on the ward. Another case was presented by Dr Reubenson at the panel discussion at the South African TB Meeting which illustrate problems which, although not common, can happen in settings with high burdens of multi-drug resistant TB. A child was admitted at six months and given a diagnosis of bronchial pneumonia. At this stage, the child tested HIV-negative and responded well to conventional therapy. The child had no known TB contacts and had a negative tuberculin skin test. However, 3 gastric washings were done and sent to the lab for microscopy and TB culture. Four months later, one of those three gastric washings was reported to be culture positive with XDR-TB. Based on that the patient was referred to the provincial XDR-TB treatment centre, where he was found to be well nourished and to have gained weight well over the intervening four months. The child continued to have no symptoms, but there have been very rare reports of a child being temporarily culture-positive during primary infection and afterwards simply having “latent” TB. However, this child continued to have a negative response on TST — and was not HIV-positive. (If it was negative, an IGRA test might have provided further evidence to indicate that the child was not infected, but in this case that test was not performed). Most of the panel would have been reluctant to treat this as a case of XDR-TB. “Is there other evidence to suggest TB in this patient?” asked Dr Nuttall, who was incredulous that the child could have an XDR-TB diagnosis within this timeframe, given that first there would need to be culture confirmation of TB and then drug sensitivity testing for first and second line TB drugs (which takes some time). “We do know there can be contamination at the laboratory, there can be mix-up of samples,” he said. In the end, it was determined that this was indeed a lab error. “What if this wasn’t XDR-TB? What if it was drug-sensitive TB, would we have had the same response?” asked Dr Francesca Conradie of Helen Joseph Hospital in Johannesburg. The panel agreed that no, they would probably treat the child — but that there were serious concerns about jumping to XDR-TB treatment, which is considerably more toxic, and in South Africa at least, would mean that this child would be kept in isolation (even though children of this age are very unlikely to be infectious). Unfortunately, that is precisely what happened. The TB hospital didn’t think that the child had TB, but also didn’t feel comfortable sending the child back into the community with potential XDR-TB. So they chose to admit the child to the treatment facility — not in the XDR section but in the MDR-TB section. Part 3 of this series on childhood TB, covering treatment and prevention of TB in children, will follow on December 23rd. Zar HJ. Diagnosis of pulmonary tuberculosis in children – what’s new? SAMJ 97(10); 983-985, 2007. Marais BJ et al. The natural history of childhood intra-thoracic tuberculosis: a critical review of literature from the pre-chemotherapy era. Int J Tuberc Lung Dis 8(4):392–402, 2004. Mofenson LM, Laughon BE. Human Immunodeficiency Virus, Mycobacterium Tuberculosis, and Pregnancy: A Deadly Combination. Clinical Infectious Diseases 45:250–3, 2007. Newton SM Paediatric tuberculosis. Lancet Infect Dis; 8: 498–510, 2008. Moore DP, Madhi SA. Defining the burden of tuberculosis in a cohort of children enrolled in a pneumococcal vaccine trial. The South African TB Conference, Durban, 2008. Marais BJ et al. The spectrum of disease in children treated for tuberculosis in a highly endemic area. Int J Tuberc Lung Dis 10(7):732–738, 2006. Graham SM et al. Childhood tuberculosis: clinical research needs INT J TUBERC LUNG DIS 8(5):648–657, 2004.
 WHO, Stop TB Partnership Childhood TB Subgroup. Guidance for National Tuberculosis Programmes on the management of tuberculosis in children. Chapter 1: Introduction and diagnosis of tuberculosis in children. Int J Tuberc Lung Dis 10(10):1091–1097, 2006. Marais BJ et al: Childhood Pulmonary Tuberculosis Old Wisdom and New Challenges Am J Respir Crit Care Med Vol 173. pp 1078–1090, 2006. Marais B J et al. A proposed radiologic classification of childhood intra-thoracic tuberculosis. Pediatr Radiol 2004; 33: 886–894. Marais, Int J Tuberc Lung Dis, 2006. Op cit. Marais. The natural history of childhood intra-thoracic tuberculosis, 2004. Op Cit. Maher D, Harries AD. Tuberculous pericardial effusion: a prospective clinical study in a low-resource setting – Blantyre, Malawi. Int J Tuberc Lung Dis 1 (4): 358-364, 1997. Marais. The natural history of childhood intra-thoracic tuberculosis. Op cit. Cotton MF et al. HIV and childhood tuberculosis: the way forward. Int J Tuberc Lung Dis 8(5):675–682, 2004. Donald PR, Schoeman JF. Tuberculous meningitis. N Engl J Med 351:1719-20 2004. Thwaites GE, Tran TH. Tuberculous meningitis: many questions, too few answers. Lancet Neurol 4: 160–70, 2005.
 WHO. TB/HIV: A CLINICAL MANUAL. 2004. Chinniah K et al. Arthritis in association with human immunodeficiency virus infection in Black African children: causal or coincidental? Rheumatology 44(7: 915-920, 2005.
 WHO, Stop TB Partnership Childhood TB Subgroup. Op cit. Schaaf HS et al. Culture positive tuberculosis in human immunodeficiency virus type 1- infected children. Pediatr Infect Dis J. 17: 599–604, 1998. Schaaf HS et al. Transmission of multidrug resistant tuberculosis. Pediatr Infect Dis J. 19:695–9, 2000. Padayatchi N et al Multidrug-resistant tuberculous meningitis in children in Durban, South Africa Pediatr Infect Dis J;25: 147–150, 2006. Adhikari M, Pillay T, Pillay D G. Tuberculosis in the newborn: an emerging disease. Pediatr Infect Dis J; 16:1108–1112, 1997. Cotton M. Tuberculosis. in the `Handbook of HIV Medicine`, Wilson D et al. Editors, Oxford University Press, 2002. Marais BJ. Childhood pulmonary tuberculosis – old wisdom and new challenges, 2006. Op Cit. Edwards DJ, Kitetele F, Van Rie A. Agreement between clinical scoring systems used for the diagnosis of pediatric tuberculosis in the HIV era. Int J Tuberc Lung Dis 11(3):263–269, 2007. Zar HJ et al. Aetiology and outcome of pneumonia in human immunodeficiency virus-infected children hospitalized in South Africa. Acta Paediatr 90:119-125, 2001. McNally LM et al. Effect of age, polymicrobial disease, and maternal HIV status on treatment response and cause of severe pneumonia in South African children: a prospective descriptive study. Lancet 369: 1440–51, 2007. Marais BJ et al. Well defined symptoms are of value in the diagnosis of childhood pulmonary tuberculosis. Arch Dis Child 90: 1162–1165, 2005. Marais B J, Gie R P, Hesseling A C, et al. A refined symptom-based approach to diagnose pulmonary tuberculosis in children. Pediatrics 118: 1350–1359, 2006. Hesseling AC, Gie RP. Scoring systems for the diagnosis of childhood tuberculosis: are we making progress? Int J Tuberc Lung Dis 11(3):245, 2007.
 WHO. Pocket Book of Hospital Care for Children. Guidelines for the Management of Common Illnesses with Limited Resources. 2005. Op Cit. Schaaf HS et al. Culture positive tuberculosis in human immunodeficiency virus type 1- infected children. Pediatr Infect Dis J; 17: 599–604, 1998. Liebeschuetz S et al. Diagnosis of tuberculosis in South African children with a T-cell-based assay: a prospective cohort study. Lancet; 364: 2196-2203, 2004. Marais BJ et al. Diagnostic and management challenges for childhood tuberculosis in the era of HIV. J Infect Dis 196:S76–85, 2007. Zar HJ et al. Induced sputum versus gastric lavage for microbiological confirmation of pulmonary tuberculosis in infants and young children: a prospective study. Lancet; 365: 130-134, 2005. Franchi LM et al. Detection of Mycobacterium tuberculosis in nasopharyngeal aspirate samples in children. Lancet; 352:1681–2, 1998. Vargas D et al. Diagnosis of sputum-scarce HIV-associated pulmonary tuberculosis in Lima, Peru. The Lancet 365: 150-52, 2005. Chow F et al. La cuerda dulce—a tolerability and acceptability study of a novel approach to specimen collection for diagnosis of paediatric pulmonary tuberculosis. BMC Infect Dis; 6:67, 2006.